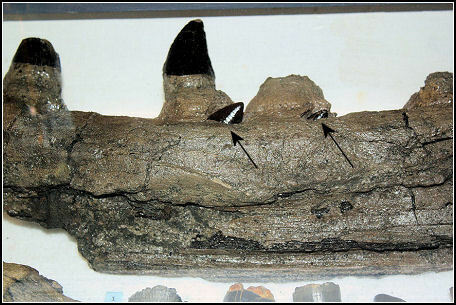 Mosasaurs were large marine reptiles reaching up to 50 feet in length. 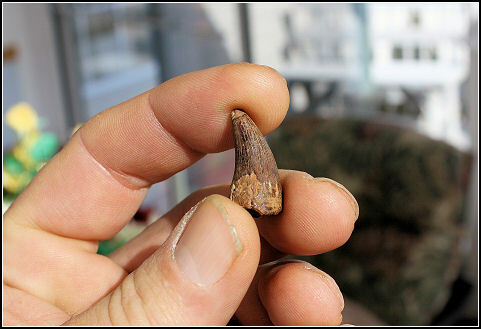 Abundant during the latter half of the Cretaceous period, all fossil evidence indicates that the mosasaur had disappeared by the time the Cretaceous period closed. 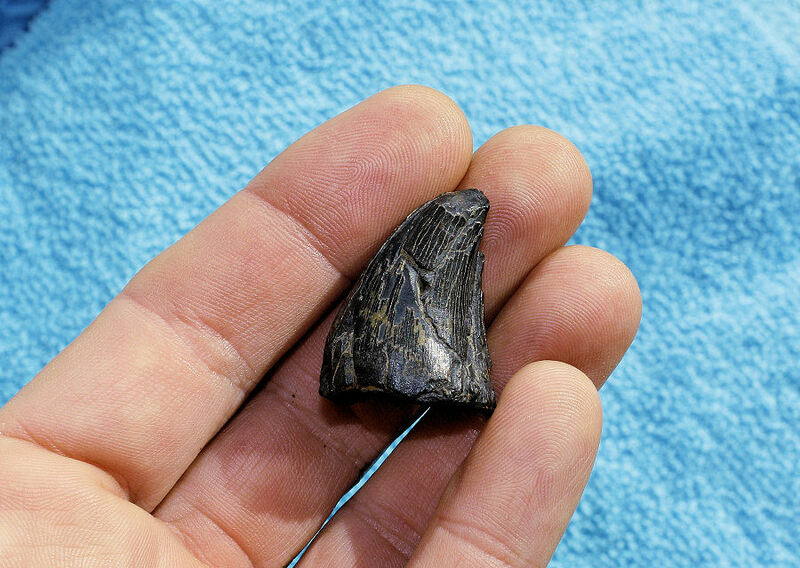 Although several species of mosasaurs have been reported in New Jersey, the most common material recovered is the teeth of Mosasaurus conodon. 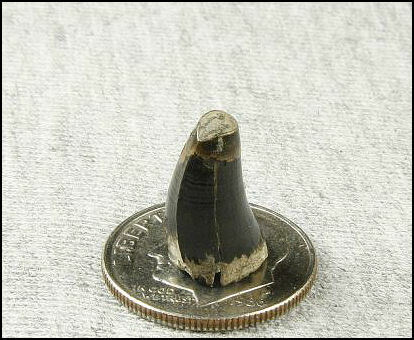 These teeth range in size from ½ to a little under two inches in size, with the average being a little less than 1 inch. 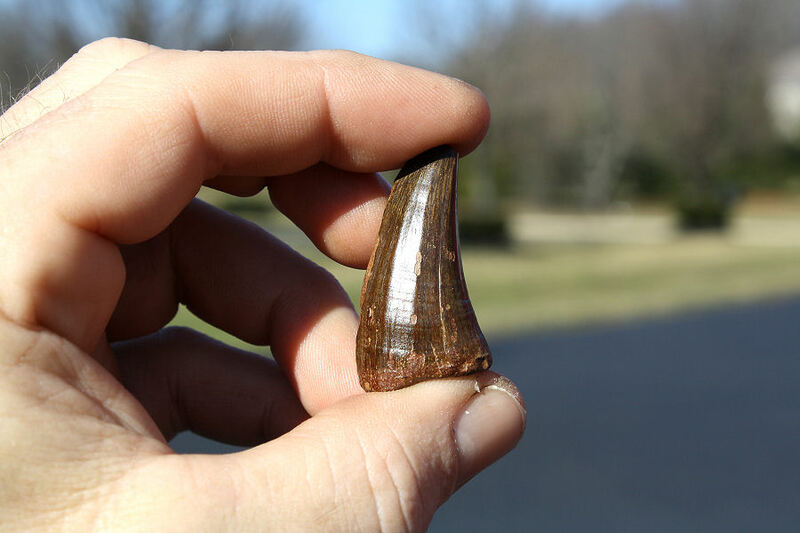 The shape can differ depending on the position in the jaw but can generally be described as having a lens shape when viewed on profile, at least one cutting edge is always present and if not too stream worn fine striations along with growth cracks can be seem. Most teeth will show a noticeable curve. At the base of the tooth, there is a conical shaped cavity where the tooth would attach to the root. 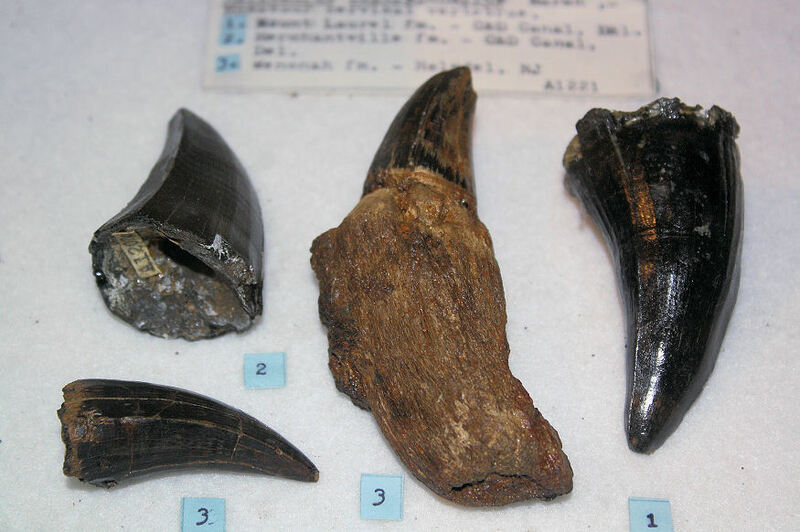 Mosasaurs shed their teeth. The crowns of the replacement teeth are initially pointing horizontally backward gradually moving upwards to a vertical position. Only snakes replace teeth in a similar manner, leading to some speculation that the two may be distantly related. 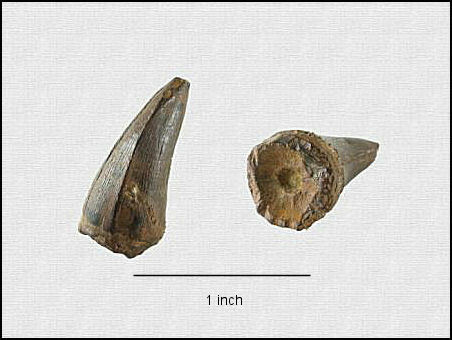 The teeth of the mosasaur may easily be confused with those of the crocodilian. 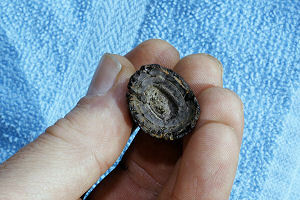 Most have cracks, chips or some of the enamel worn away. 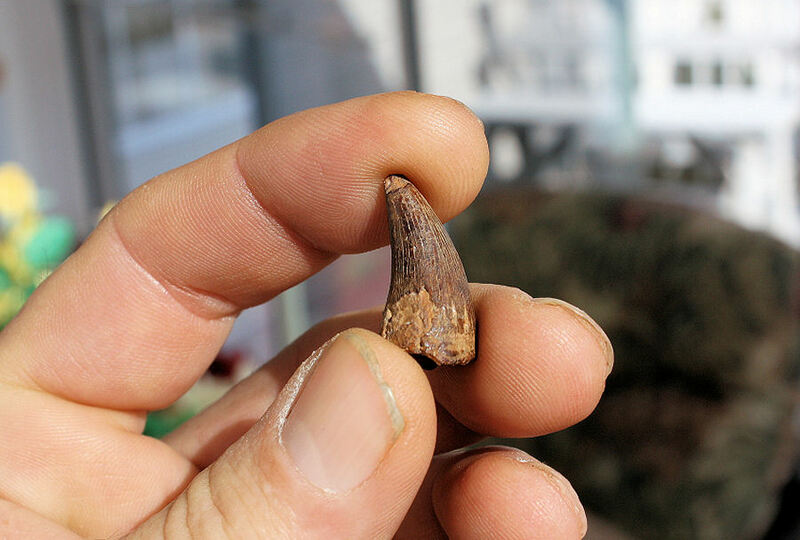 The root of a mosasaur tooth consists of a boney base which is set in a deep socket. The middle tooth comprises both the crown and boney root. 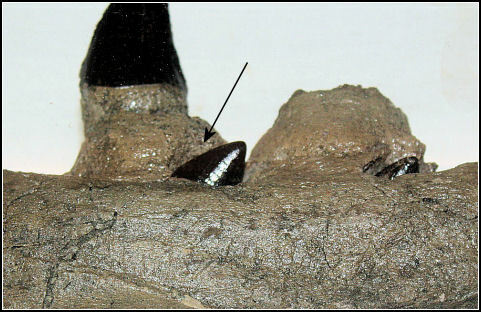 Some teeth will show a flattening of the top do to in-vivo wear. 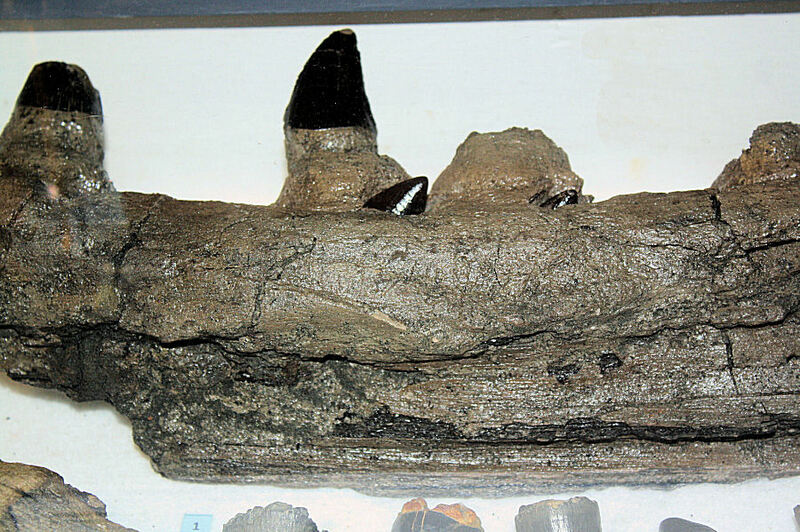 Jaw section with the crowns of two replacement teeth visible. A closer view of the resorption pit. 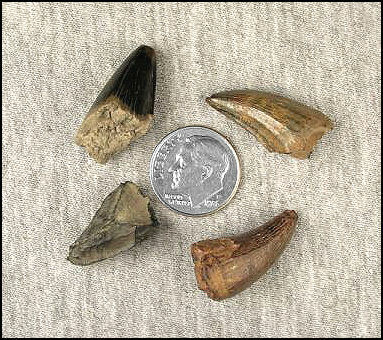 as the replacement tooth swings into place, eventually replacing the worn or broken tooth. 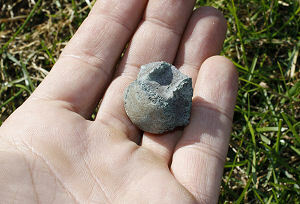 is beyond the scope of this website. Mosasaur vertebra are concave on the front end and convex on the posterior. 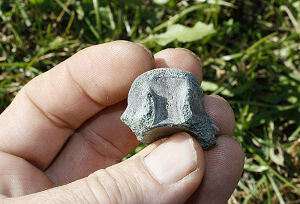 A stream worn mosasaur vertebra. An assortment of mosasaur teeth in various conditions. teeth seem frustratingly prone to.